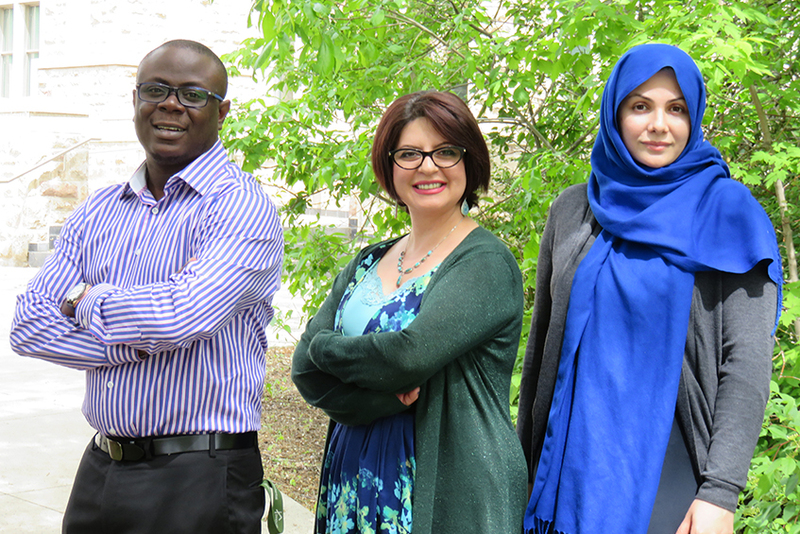 Four College of Pharmacy and Nutrition graduate students have been awarded Saskatchewan Innovation & Opportunity Scholarships by the College of Graduate Studies and Research. These scholarships recognize graduate students who are studying in one of the University of Saskatchewan's signature areas and have demonstrated research potential and academic excellence. Congratulations to all of our scholarship recipients. Zeinab Hosseini, PhD student studying with Drs. Hassan Vatanparast and Susan Whiting. Her project, Dietary intake of Canadians in association with metabolic syndrome, diabetes, and risk of cardiovascular diseases, aims to determine the prevalent dietary patterns among Canadians and their association with metabolic syndrome and cardiovascular risk. Mahasti Khakpour, PhD student studying with Dr. Hassan Vatanparast. Her project, The impact of socio-economic and cultural factors on household food insecurity of refugees, will assess refugees’ food security at point of entry and final destination, looking into the interaction between socio-economics and settlement environment considering socio-cultural concepts. Adegboyega Lawal, PhD student studying with Dr. Thomas Rotter. His project, The Implementation and Evaluation of Clinical Pathways in Saskatchewan, aims to narrow healthcare accessibility barriers and improve quality and cultural safety in Saskatchewan and Aboriginal healthcare services. Sandra Rosero Tapia will be beginning her Master’s program under the supervision of Dr. Gord Zello in September 2016. Her project, Parenteral nutrition (PN): Safety issues and barriers to usage, will investigate parenteral nutrition in a piglet model with the goal of making it safer in long term usage.